ON SALE FOR A LIMITED TIME. 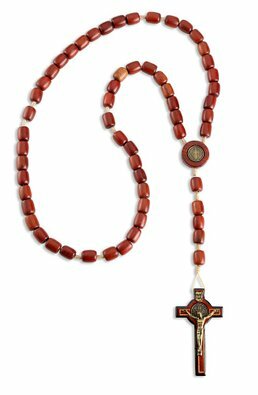 This stunning St. Benedict Rosary is imported from Brazil. Truly one of our most beautiful rosaries! Our 6 Millimeter Bead Green Irish Rosary features our money-back guarantee. NOTE: The photo may only show part of this product, but the 6 Millimeter Bead Green Irish Rosary is a full rosary.